The battle for the personal transport marketplace is being waged mainly in China. Cheaper manufacturing costs with access to a patent-free market place means that the majority of hover-boards are shipped into the states. The advantage of this is that prices are low. The disadvantage is that some of the companies are a little mysterious. Tomoloo is a newcomer to the market having established themselves in 2013. 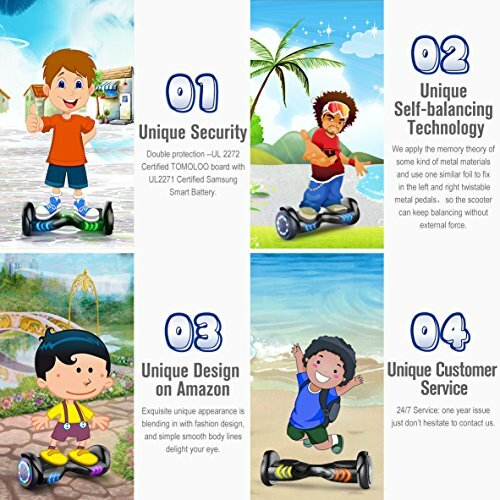 They offer ten self-balancing scooters usually at very low prices. Today, we´re looking at the Q3 Star Traveller to find out if this newcomer is value for money or another entry into the “avoid at all costs” category. 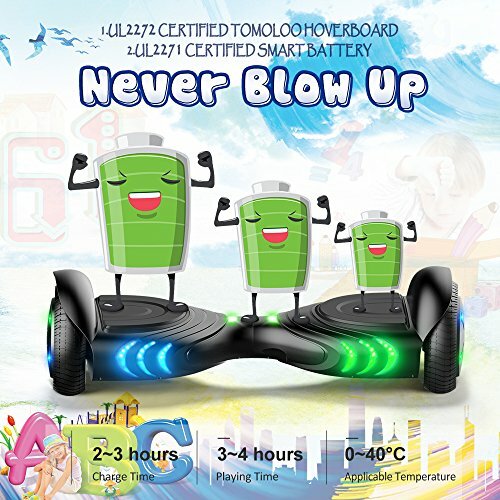 The TOMOLOO hover-board is an inexpensive self-balancing scooter that´s primarily a children´s toy. It´s powered by a single 300W motor that accesses the wheels via a dual motherboard. These motherboards balance the engine power between both wheels to ensure stability. It claims to support a 264llb weight although, with just 300W output, I´m sure the performance would be affected badly at the upper limits. For children between 10 and 15 though this scooter will offer a 10 mph top speed and run for around 12km. A lithium Ion battery provides the power, taking just 2 to 3 hours to recharge. Performance-wise the Q3 series is fast and the dual mother-boards do their job making the ride feel comfortably stable. 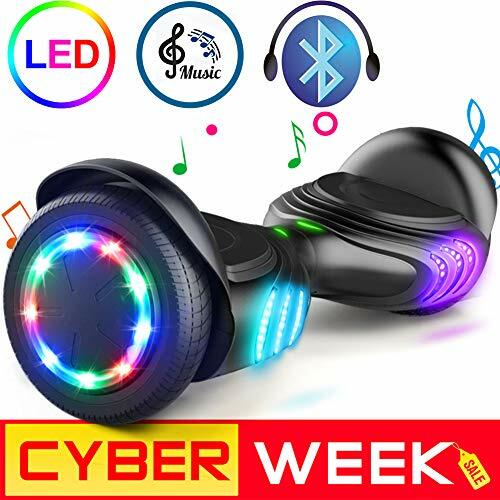 The only downside is the turning circle which isn´t as responsive as other hover-boards available. It might keep children safer but they won´t have as much fun spinning in circles. 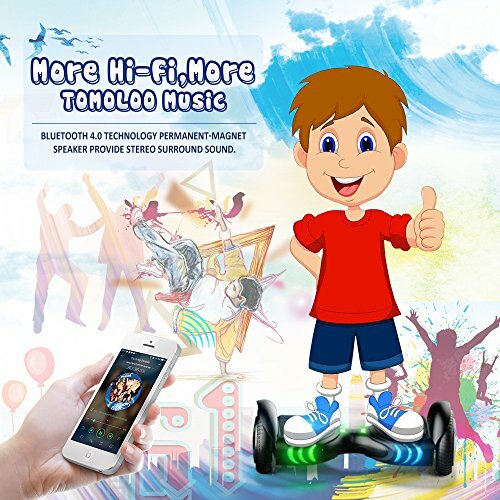 The Tomoloo is a smart device with Bluetooth connected speakers. They´re nice and loud, and a nice addition to the overall package. There´s also a set of LEDs fitted in a flame design across the front of the board. The light patterns can be set from your mobile which is unique custom feature I can see a lot of kids having fun with. The speeds, as well as the rider modes, are controlled via an app from a mobile device. There are 3 different settings: Slow, Normal and High Speed. There seems to be a lack of communication between the engineers and the software designers. On the ´slow´ mode the unit vibrates a lot. Ironically, it makes more sense to set the scooter to high speed mode and wear protective gear. This way at least you get a significantly smoother ride that is easier to control. The tires are 6.5 inches tall which is fast-becoming an industry standard on these devices. The foot panels are nice and wide but the deck hangs just 0.8 inches off the floor. The lower the deck the better balance you´ll get. The flipside is that any small rocks or twigs will buck you off. Safe to say that you shouldn´t take this off-road but the performance is good on smooth pavements or indoors. The internal parts are all well-made and have passed the stringent UL22772 tests. There´s an aluminum frame reinforcing the chassis and the wheels feel firm. The outer shell is made from a cheap plastic that scratches easily if you fall off a lot. Other than that I can´t find anything wrong with this product. 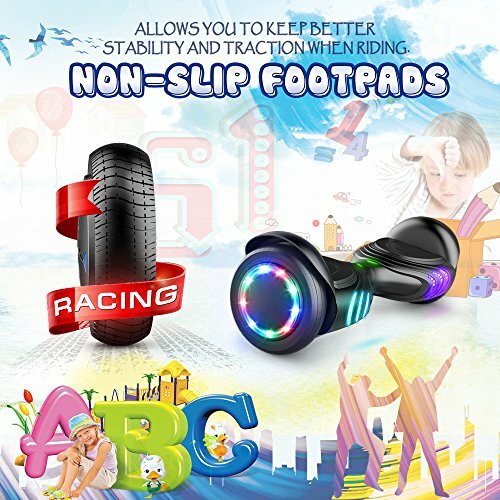 There are better self-balancing scooters for sure, but for kids, this should do just fine. Decent performer in terms of speed with a long lasting battery life. At times the whole hover-board seems to vibrate. The capacity listed seems a little high, probably best to try it out first if you´re near the limit. As far as children´s toys go, this is near the top. 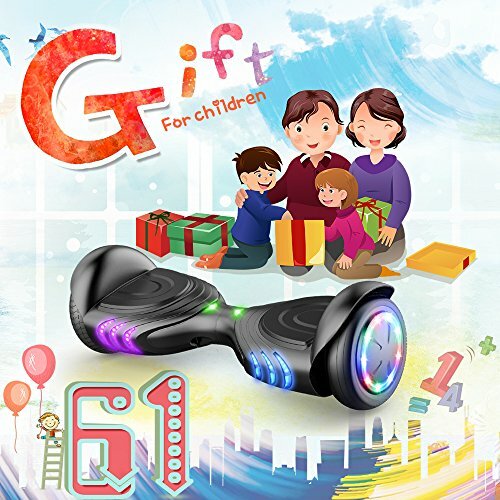 It´s fast with lots of extra features like Bluetooth speakers, customizable LEDs and a mobile app that kids will love. The different rider modes probably need a rethink, but if you go for full output the performance is impressive and the ride smooth. 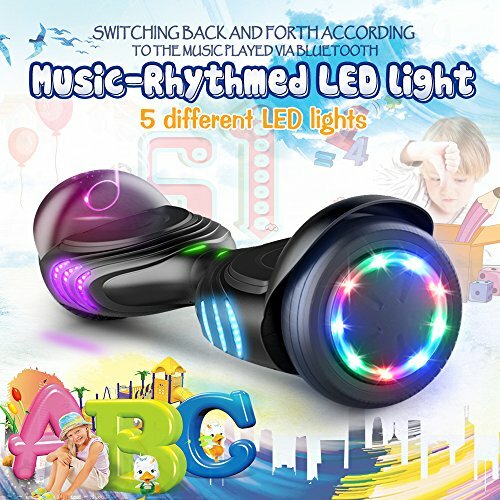 I was very nervous about purchasing one of these for my daughter but after very thorough research I determined this one to be the best option. I am very happy with my decision. My seven year old daughter loves this. It keeps her occupied for hours and she learned vet quickly how to balance on it. It charges very fast and holds a charge well. The lights are awesome and you can download an app to change the color. This is by far the best. Also it goes very well on the carpet and ours is not thin carpet either. Wish the scooter was not so heavy though. Awesome review! I love the idea of allowing the readers to leave their opinion on the product too with the poll / rating form… I don’t own this one, but will keep an eye open for those reviews where I can leave a useful review.